San Francisco Neighborhood Kids Clubs. We offer after-school tennis clubs, tennis programs, and tennis teams in the neighborhood that fits your desire. Connect With Fun, Local, Quality, & Certified Coaches - In Your Neighborhood! "Request a Coach" below and fill in the details regarding your needs (day, time, location)! You organize the group of children (Small Group: 6-8 children or Team 9-10 children) to form a club. We provide the quality coach to coach your neighborhood kids club. ANTS will contact you within 24-48 hours (Monday-Friday) to finalize the details regarding your Neighborhood Kids Club. You will receive an individualized, custom registration link that is exclusively for your club. We will do our best to match your preferred day. An ANTS Tennis representative will be in touch with you shortly! 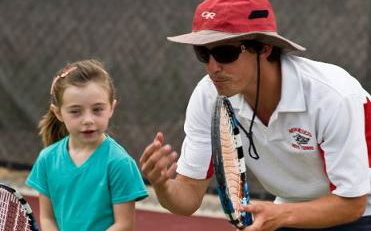 If your child is new to tennis, intermediate, or advanced, ANTS will help connect you to the right coach! You organize the group of children and we provide the coach for the kids club! Small Group - 6 to 8 children: $190/child. *Note* Organizing your neighborhood club typically takes 3 to 6 weeks from your first Request of a Coach. We guarantee you'll love your club coach! If you don't like the first lesson, we'll give you your money back*. Start your ANTS Tennis Kids Club Today! Thank you! An ANTS Tennis representative will be contacting you soon! * Money back guarantee is subject to a 6% administrative transaction fee. ANTS Tennis must be notified within 48 hours of your first lesson in order to qualify.